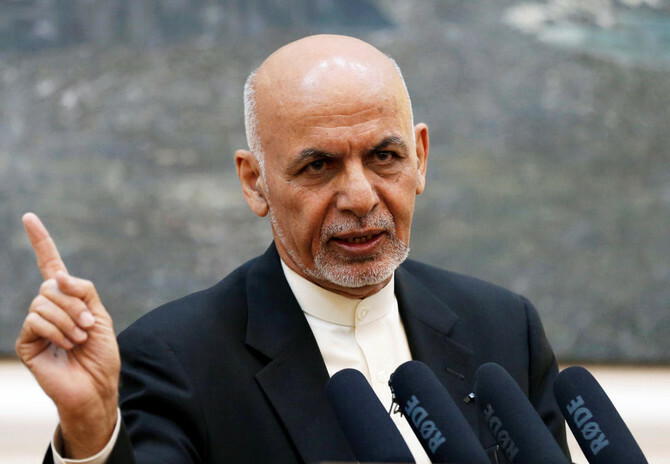 Ever since becoming Afghanistan’s president in September 2014, Ashraf Ghani has been at war with warlords and other strongmen that challenge not only his authority but also the writ of the state. The powerful governor of the northern Balkh province, the virtual king, was removed by Ghani a few months ago after some tactful politicking. This and other bold steps by the president, while giving him a hard time, has also won him friends for delivering on his campaign promise to act against the warlords. But the story does not end here: There are hundreds of other powerful warlords who are either members of Parliament or influence politics through various means. Recently, a grand coalition of various groups was formed to act as opposition to the National Unity Government led by Ghani and Abdullah Abdullah. The coalition is a mix of various political parties, parliamentarians, local warlords and influential individuals. Ghani has already been critical of political parties for their roles during the past three decades of war and conflict. He has challenged the very credibility of such parties, which has angered some of their leaders. In the Afghan political context, it is sometimes confusing as well as hard to define a political party. In established democracies, parties evolve based on certain values, ideologies and issues. In Afghanistan, most parties are the product of the past 30 years of war, conflict and foreign interventions. Ethnicity plays the most crucial role in political affiliations. Foreign sponsorship and funding for Afghan political parties is taken for granted, even though the political parties law strictly prohibits any foreign sources of finance. Despite widespread support for Ghani’s stance against the so-called mainstream political parties, sidelining these groups is not an easy task. Contrary to the approach of former President Hamid Karzai, who carefully maneuvered his actions, Ghani has been more straightforward and at times too fast when dealing with political strongmen. In a democracy as young and fragile as Afghanistan, Ghani has won both friends and foes through some of his bold actions. More than 60 percent of the Afghan population is below 25 years of age and youth empowerment was one of the campaign slogans of both Ghani and Abdullah. True to his campaign promises, Ghani has gradually replaced the civil and military bureaucracy with young and educated individuals, angering his political opponents. The National Unity Government is now full of young graduates. Ghani’s policy of youth empowerment has received much national and international support, but his excessive trust in the youth has implications. Politically, it does not help much. The number of Afghan youths runs into the millions, while the state cannot absorb more than a few hundred thousand. Secondly, young graduates lack the required experience, skills and maturity to provide good governance, especially when serving as ministers, deputy ministers, presidential advisers and provincial governors. Ghani’s strong faith in a university degree from a reputable school, even if it comes with limited or no practical experience, little serves his ambitious economic and political agenda. As such, he can score a few political points by appointing few hundred young individuals and resenting thousands who lack political connections. In principle, he should be right to empower youth. But, appointing novices to senior positions comes at a cost to the quality of state institutions. The Afghan election commission has already announced that the next presidential election will be held in April 2019. With less than a year to go, the presidential hopefuls have already started informal campaigning efforts. The Afghan constitution allows for presidents to serve two terms and Ghani is certain to run again. Afghanistan is a Pashtun majority country and candidates with Pashtun ethnicity are more likely to get elected. Ghani, who belongs to the powerful Ghilzai Pashtun tribe, has a good chance of winning again. Despite facing resistance from the aforementioned grand coalition and a not-so-happy public that is still waiting to see changes to their lives, Ghani has shown resilience. On foreign policy, Ghani enjoys wide public support. On the domestic front, the president must take measures that offer quick wins to assure him of victory. • Ajmal Shams is president of the Afghanistan Social Democratic Party. He is based in Kabul. He served as policy adviser to Dr. Ashraf Ghani when he chaired the security transition commission before his presidential bid.